Okay, if you're a restauteur looking for a small town to move to where your restaurant skills are needed, where people are friendlier, and where you're breakfast/lunch or burger concept will be a hit, then you ought to stop and look at this restaurant. The only cash you'll need here is for the lease security deposit and working capital. Of course you'll need good credit as well. What a niche and opportunity. Other concepts are welcome of course. If you want to get away from the noise and fast pace of the big city, then you ought to seriously take a look at this restaurant. Located in a beautiful, historic Sierra Foothills town right off I-80, this 2000 sq. ft. turn-key facility with plenty of parking is perfect to start your own business. It is a choice destination for many Tahoe goers to stop and grab a bite to eat. 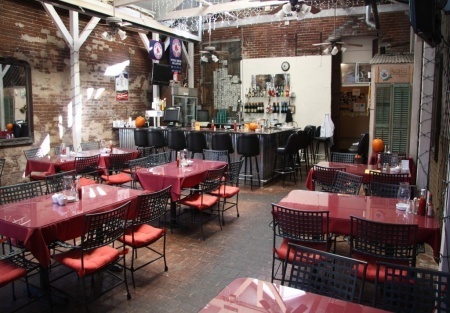 This location has been a restaurant for over 20 years and has recently been remodeled. Previous owner invested $ 150,000 + in upgrades to the kitchen, flooring, and large garden patio area. You have to see this place to believe it. The restaurant has two distinct dining areas. The dining area behind the kitchen has high ceiling brick walls with plenty of sun light shining through. It feels like a garden and is perfect for a garden style breakfast/lunch of sports bar burger joint. The front dining area is perfect for the faster service crowd while the rear is perfect for the "want to lounge" crowd. What are you waiting for, if you don't want to have to deal with the headache of a start up business than come with all the permits and delays, check it out and start benefitting from this opportunity. Build yourself a reputation of quality and value and you'll have a gold mine! A beer and wine license can be placed on the property and if you have the funds or are lucky to win a Placer County type 47 liquor license, then just ad that and really kill it in the area. Please select one of the orange buttons below to see more photos and get the name and address. This Town Needs a Mexican Restaurant! Or convert to any concept you want. There is plenty of choices. The kitchen is full equipped. Monthly Lease includes lease of equipment. Location has had a beer & wine license which makes it easy to get a new one. Garden Style Main Dining Area. New lease of 5 + 5 available to tenant with good credit and restaurant experience.